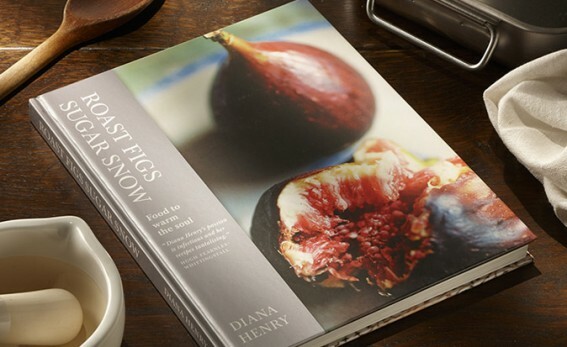 Diana spent 5 years travelling and eating in search of the tastiest dishes from the snowiest climes, resulting in an irresistible collection of dishes from North America and Northern Europe. This re-issue of a classic and unique collection of recipes celebrates some of the world’s most overlooked cuisines by using produce that can be found on our own doorsteps. There are potato and cheese dishes from Italy’s skiing slopes, pastries from the coffee houses of Vienna and Budapest, and little appetizers that have been eaten at Russian celebrations since the days of the Tsar. These recipes will bring warmth to your heart as well as your home. "A lovely collection of winter recipes"
"As the chill of winter weaves itself into the air, this is the book to turn to...an excellent fireside read too." "A lovely book. Here is a very intelligent food writer indeed."